Welcome to Bethany&apos;s Rest. 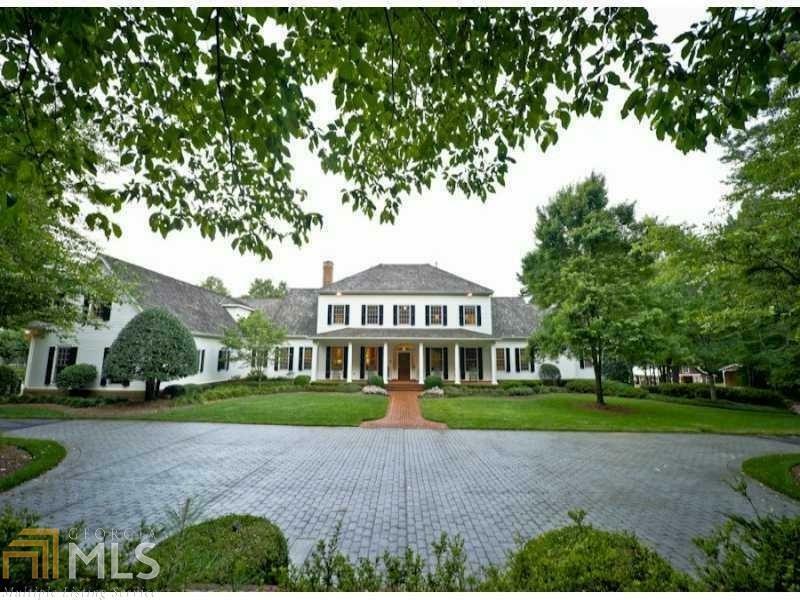 The breathtaking, gated 26+ ac is one of the most beautiful equestrian estates in North Fulton. The estate includes a 5 stall barn w/a well-maintained & livable apartment; several lg paddocks; a lake; & a pool w/a pool house that provides an add&apos;t 3-car garage, as well as, ample space for property maint. The entire property is fenced w/4-board fencing & professionally landscaped for privacy & tranquility. The Georgian style home has 7 bedrooms, which includes an in-law ste in the terrace lvl. This true masterpiece is like nothing else on the market. Directions: 400 North Exit #9 Haynes Bridge. Left On Academy. Right On Hwy 9 (Main St). Left On Mayfield. Right On Bethany Rd. Estate On Left Just Before 4 Way Stop At Providence Rd.